International trials riders Dougie Lampkin, Toni Bou, Adam Raga and Jeroni Fajardo headline the Sheffield Indoor Trial on January 8, 2011. 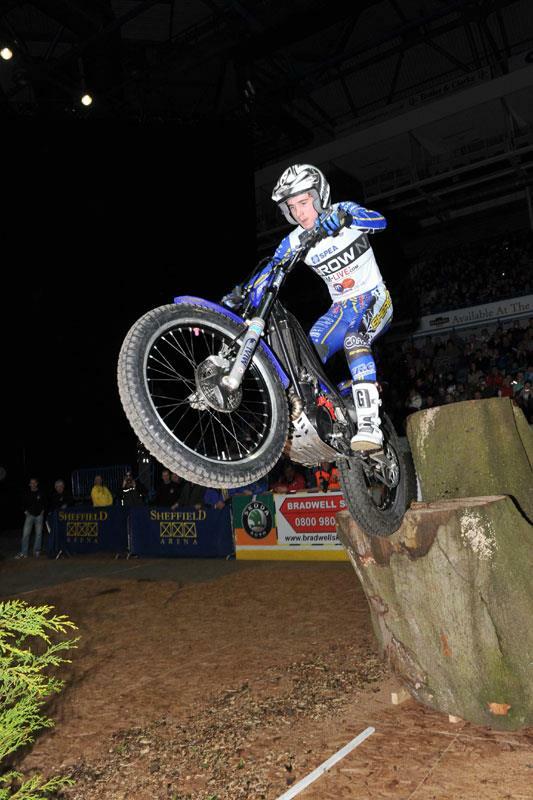 Spanish star Fajardo will be giving the all-new OSSA its UK debut. Twelve-times World Champion Dougie Lampkin will be out for the first time on his new Gas Gas with local lad James Dabill, after giving Gas Gas their first-ever Scott Trial victory, jumping ship to Beta. Fellow Yorkshire-man Michael Brown will be out on his new Gas Gas and last, but not least, Alexz Wigg will be out to impress on his new Sherco.